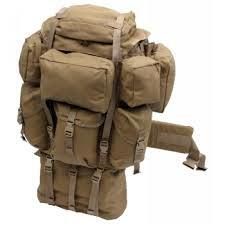 PLEASE NOTE:The following ruck modifications are already included with all MALICE Packs: Storm Flap, Carry Handle, Reinforce Stress Points and Claymore Pocket. It is not necessary to order any of these mods when ordering a Version 2 or Version 3 MALICE Pack. Malice Packs DO NOT come with frame, straps (shoulder or waist) or internal radio pocket. However, these can be purchased separately from the pack and ruck mod sections, respectively. 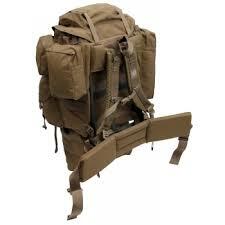 The MALICE Pack Version 2 (pictured) features the standard Claymore pocket, storm flap and carry handle. The front of the pack features two 6" x 7" x 4" and one 8" x 12" by 4" zippered pockets and on both sides are 7" x 10" x 4" zippered pockets. Main Compartment Capacity: 3276 cu. in. Total Capacity: 4556 cu. in. The MALICE Pack Version 3 is the same as the Version 2 but the zippered pocket on the left side of the pack is replaced by a 7" x 18" x 4" hydration pocket and a non-removable sleeping bag compartment has been added to the bottom of the pack with three cinch straps. Total Capacity: 6474 cu. in. The Malice Pack Kit includes ourMalice Pack Version 3, Super Straps, Super Belt and Fight Light Malice Pack Frame.